With increasing traffic congestion, many new car buyers are now considering an automatic transmission equipped car to take the pain out of bumper-to-bumper city traffic. Automatics are no longer fuel guzzling and unaffordable. In fact, some automatics are even more fun to drive compared to their manual counterparts. The Maruti Alto K10, launched in November 2014, is the most affordable car with an “automatic” transmission in India. To the user, the Alto K10 VXI AMT is an automatic for all practical purposes, although it is equipped with what is called an Automated Manual Transmission. It uses the same five-speed gearbox as its manual transmission counterpart, but instead of having a clutch and having to shift gears, there is an elecro-hydraulic unit that does the shifting. The driver has only R-N-D and M (+/-) modes to choose from on the gear selector. The car is powered by Maruti’s K-Series three-cylinder 1-litre engine (67 bhp power, 90 Nm torque) and has a claimed fuel efficiency of 23.1 kmpl (even better than its manual counterpart). Our take: This is the most inexpensive automatic available in the market right now. Buy it if you want peaceful city commuting. 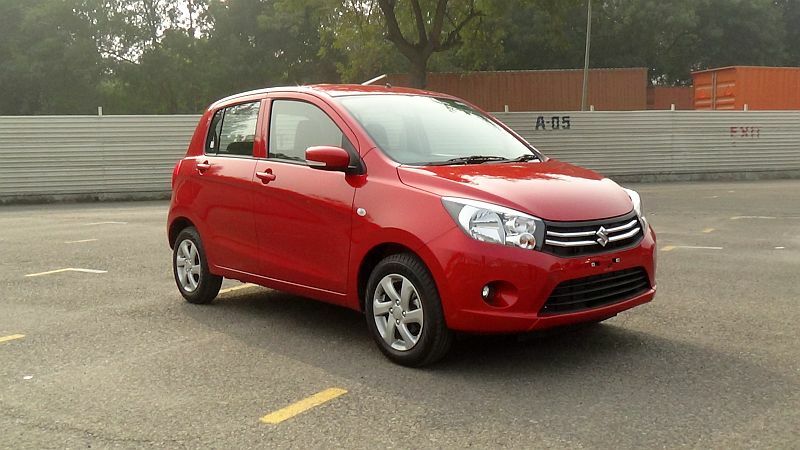 The Maruti Celerio AMT is what originally started off the trend of automated manual transmissions in India, when it was launched in January 2014 with a five-speed AMT. Maruti did not anticipate the demand an affordable car with an automatic transmission would generate, leading to huge waiting periods for the Celerio AMT. It comes in two variants – the LXI and the VXI, although the top-end Celerio ZXI with airbags and more comfort features comes only with a manual transmission to keep costs in check. The difference in price between the regular manual transmission and the automated manual transmission version is just Rs. 45,000. 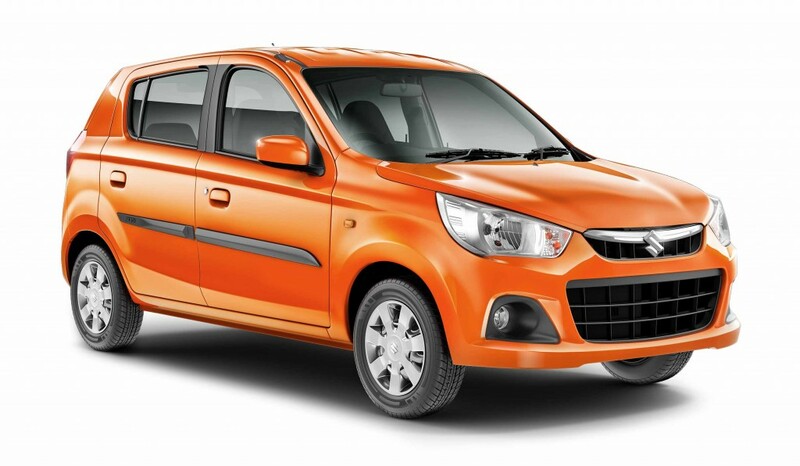 It comes with the same 1-litre K-series engine that the Alto K10 comes with. Our take: Pick the Celerio automatic if you want more passenger and luggage space over the Alto K10 and a taller driving position. Hyundai’s most inexpensive automatic is not really that cheap. The Hyundai Grand i10 Asta AT comes with a conventional “torque converter” automatic gearbox – but it is a four-speed automatic. The car is not that fuel efficient as well. It has a claimed mileage of 16.9 kmpl, but real-world conditions in the city don’t take it above 11 kmpl. The car comes with a 1.2 litre, four-cylinder “Kappa” petrol engine that puts out 79 bhp of power and 112 Nm of torque. However, it is loaded with comfort features – more than all the others in the same price bracket offer – and also has two airbags and ABS. 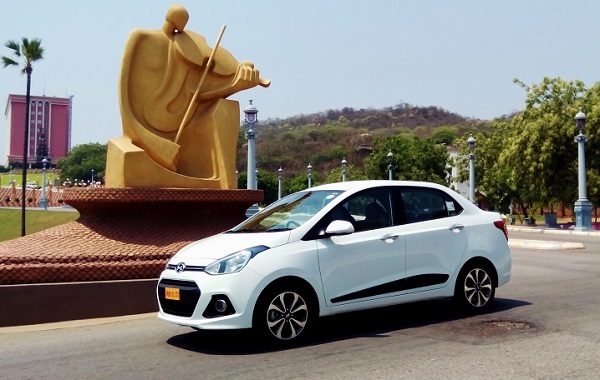 Our take: If you want a complete package, including safety, with the convenience of an automatic, the Hyundai Grand i10 Asta AT is the most affordable automatic you can get. The Honda Brio AT comes with a five-speed, torque converter automatic transmission, offered in two variants. The transmission also has presets for first, second and third gear if you need some manual control like climbing hills or driving on slippery surfaces. The Brio comes with a 1.2 litre petrol engine that puts out 87 bhp of power and 109 Nm of torque. The car also has two airbags and ABS, but not too much in terms of features compared to other hatchbacks in the same price bracket. Still it is a fantastic run about of the city. 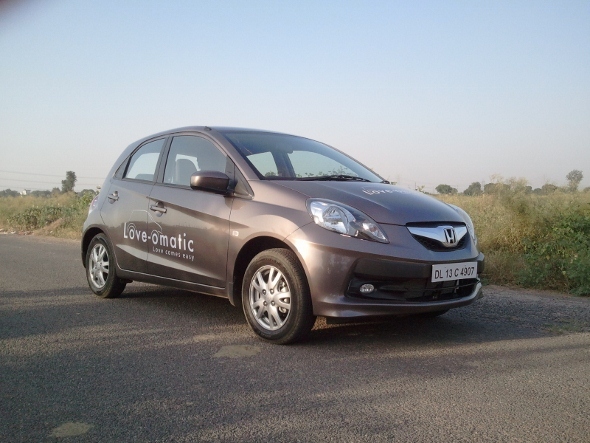 Our take: This Honda Brio AT is an ideal car if you love driving and yet want the convenience of an automatic in the city. The engine is peppy and the car is quick to dart in an out of traffic and compact enough for tight parking spaces. 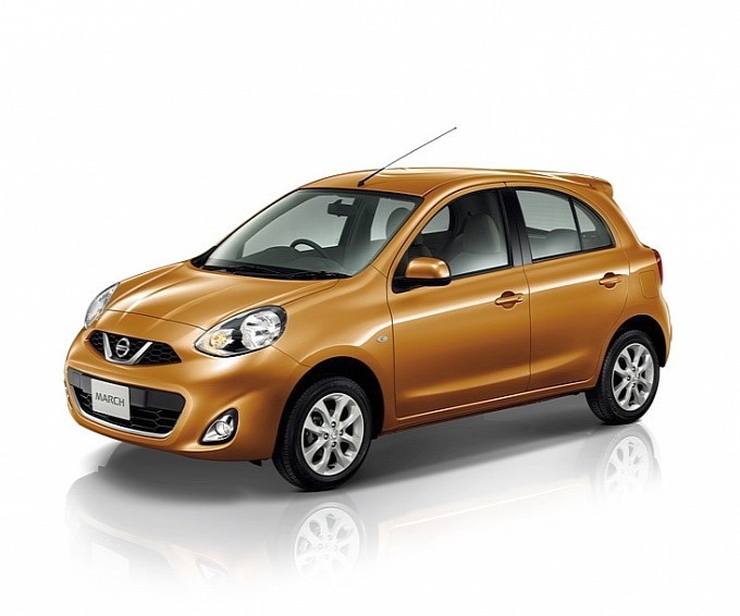 The Nissan Micra uses a continuously variable transmission or CVT. The benefit of a CVT is that it is compact in size and provides a large number of gear ratios to match the driving conditions. The Nissan Micra CVT also has an L mode, where it keeps the transmission in a lower gear for sporty driving or climbing hills. The car comes with a 1.2 litre, three-cylinder, petrol engine that puts out 76 bhp of power and 104 Nm of torque. However, it has a fairly high fuel efficiency rating of 19.3 kmpl, but achieving that requires very light-footed driving. In normal conditions, it gives about 12 kmpl. It is loaded with all the comfort features one may want – automatic climate control, power folding mirrors, push-button ignition, two airbags, ABS etc. Our take: The Nissan Micra CVT is quite an underrated car. It is the smoothest automatic below Rs. 7 lakh owing to the nature of a CVT transmission. Buy it if you want a smooth drive along with luxury features at an affordable price. The Honda Amaze is the most affordable automatic (compact) sedan you can buy. It uses the same 1.2 litre, four-cylinder petrol engine and five-speed torque converter automatic transmission that the Brio uses. However, the benefit that the Honda Amaze has is the additional cabin space, especially rear legroom and the relatively large 400 litre boot. The top-end Amaze gets safety features such as two airbags and ABS as well. Equipment levels otherwise are not that generous in the Honda Amaze. 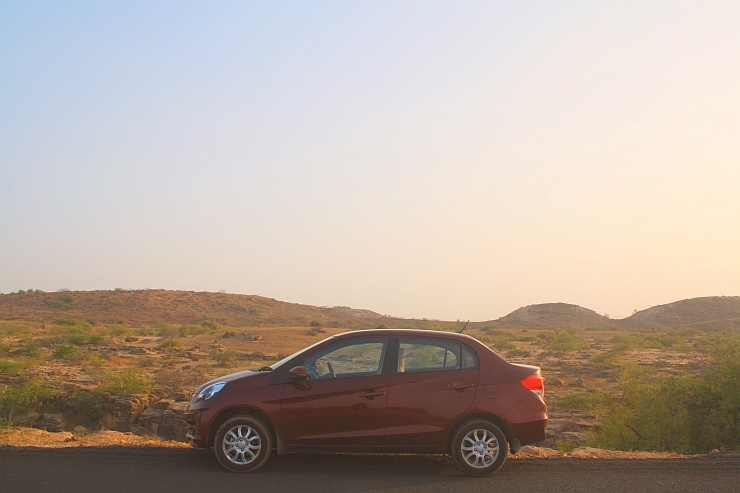 Our take: The Honda Amaze automatic is an ideal choice for those looking at a spacious sedan-like car for the family. 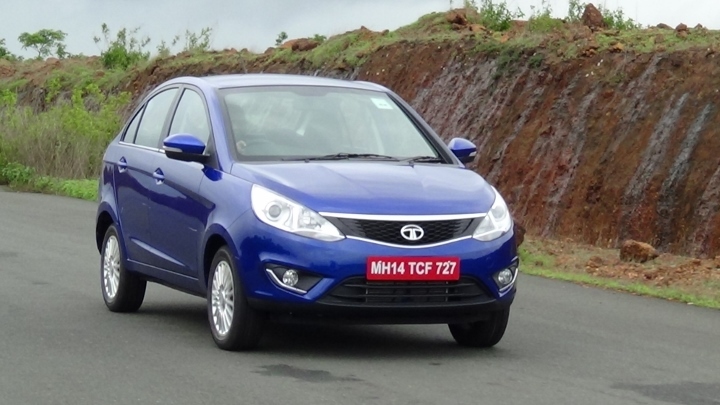 The Tata Zest is the most affordable diesel automatic compact sedan available. The Tata Zest comes with a five-speed automated manual transmission mated to a 1.3 litre, four-cylinder diesel engine that puts out 90PS of power and 200 Nm of torque. It has a claimed fuel efficiency of 23 kmpl on diesel. The Zest automatic diesel has two drive modes – normal and sport, besides the manual mode it can be driven in. The Zest now also comes in an XTA variant as well, which has dual airbags in addition to more equipment. The XMA variant gets ABS, a nice Harman infotainment system, powered mirrors, windows etc., and alloy wheels. Our take: Buyers who want a spacious, comfortable compact sedan that is fuel efficient, runs on diesel and yet is very easy to drive in the city, should look at the Tata Zest AMT. Hyundai has an automatic offering on its compact sedan, the Xcent, as well. The Xcent uses the same 1.2 litre four-cylinder Kappa petrol engine and four-speed torque converter automatic found in the Hyundai Grand i10 automatic, with a little more power and torque (81 bhp, 114 Nm). However, the benefit that the Xcent has is the additional boot space (407 litres) that it offers and it is a car that is loaded with features. Power folding mirrors, push-button ignition, automatic climate control, rear AC vents are some of the key features this car has. Our take: The Hyundai Xcent AT is a car that buyers looking for loads of features and convenience of an automatic transmission can consider. The Volkswagen Polo GT TSI is the most fun you can get on wheels under Rs. 10 lakh. The Polo TSI comes with a 1.2 litre, four-cylinder, turbocharged petrol engine that pumps out 105PS of power and 175 Nm of torque, mated to a seven-speed dual-clutch automatic transmission (DSG) that offers for some very sporty driving. It also comes with a sport mode and tiptronic (manual) shift mode. The GT TSI is a quick car and well-built. It has all the essential comfort features as well as safety features in it, and pretty decent handling too, while fuel efficiency is a claimed 16.5 kmpl. In real-world conditions, it gives about 11 kmpl overall. 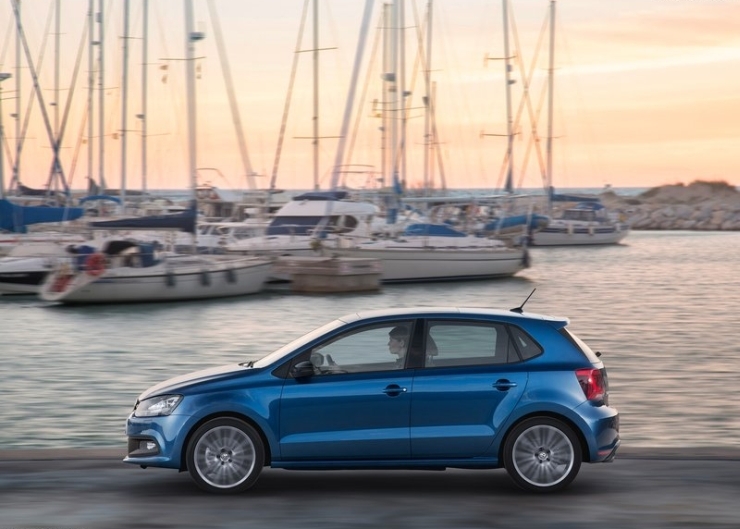 Our take: If you love sporty driving, you will enjoy the Polo GT TSI. It’s quick on the highway, and comfortable in the city too. But it is also the most expensive in this list. If you are looking for a car with an automatic transmission for city driving, and don’t want to spend more than Rs. 10 lakh on-road, you could pick any of the above. Maruti has discontinued a few automatic models it had such as the Maruti A-Star automatic, the Maruti Ritz automatic and the Maruti Dzire automatic. One more car to consider for those who have very little driving to do is the Mahindra Reva E2O – an electric car that can seat four, has enough comfort features and is an automatic. In the next few months there should be at least three more in this list – The Tata Nano with an automated manual transmission, the Tata Bolt with an AMT and the Mahindra Quanto AMT.